The AR and Collections Specialist administers accounts receivable collection program for the Client. They will professionally represent the Client and collect accounts receivable by developing rapport in telephone and email communications with client personnel at various organizational levels; utilizing automated dunning notices where applicable. Performs research in response to client questions related to outstanding invoices; reconciles customer accounts as needed. Documents and tracks progress on collection efforts and follows up with clients and personnel internally on next actions identified. Applies cash received to outstanding accounts receivable in accounting system. Communicates and develops relationships internally with client relationship personnel in order to advance collections efforts collaboratively; contributes to proposal-to-cash process improvements favorably impacting collections. Estimates account receivable collections for the upcoming month. Prepares bad debt reserve analyses and accounting for any bad debt write offs. Performs various additional reports including accounts receivable aging reports and status reports for management. Performs light accounts receivable sub ledger reconciliation. Provides various reports and responds to information requests supporting financial audits in relation to accounts receivable. Processes credit card payments on accounts receivable as needed. Proficient computer skills (Microsoft Word and Excel helpful). Some accounting software experience a plus. Well-developed interpersonal and communication skills (written & verbal). 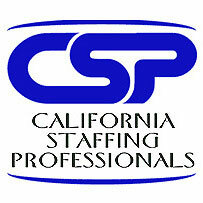 This is a temporary position located in the Conejo Valley area. Please call for additional information.